Even broom in my house has gone high tech. 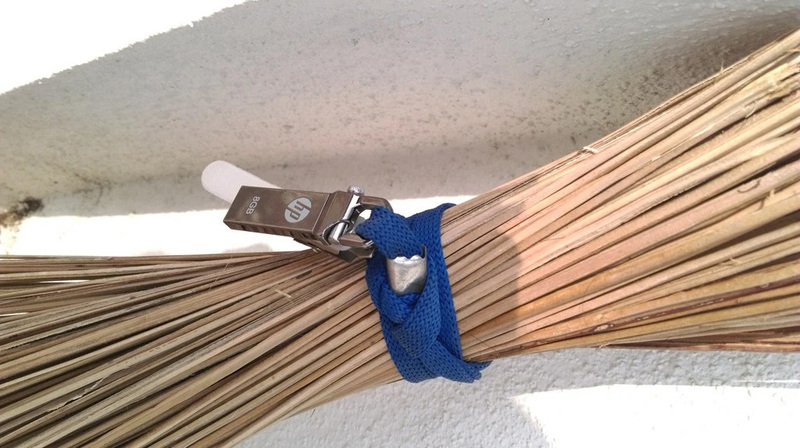 Today as I was doing Yoga in the terrace of my house, I noticed something “interesting” tied to the broom there. 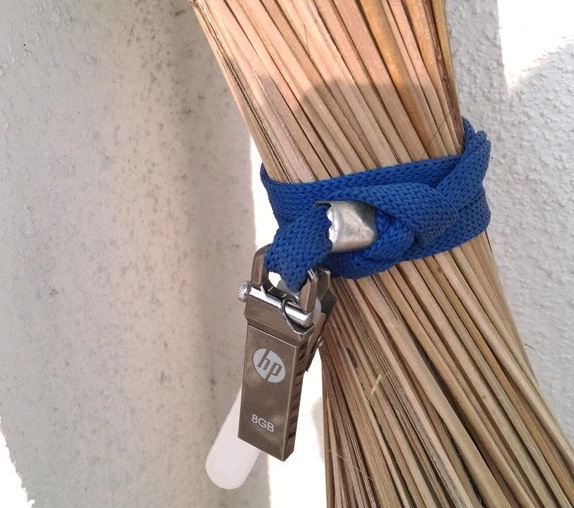 As I zoomed in, I discovered a (working) 8 GB USB drive attached to the lanyard holding the broom straws together. This was not by design, it’s the handy work of our house maid who should have used the lanyard lying around.